Last edited by crustychief; 07-25-2011 at 07:33 AM..
as it controls both functions. In the window of a bar in Hermosa Beach, California. "Happy Hour prices during all car chases." I checked the 1st fuse and it looks fine. I switched over another fuse to this location and still nothing. 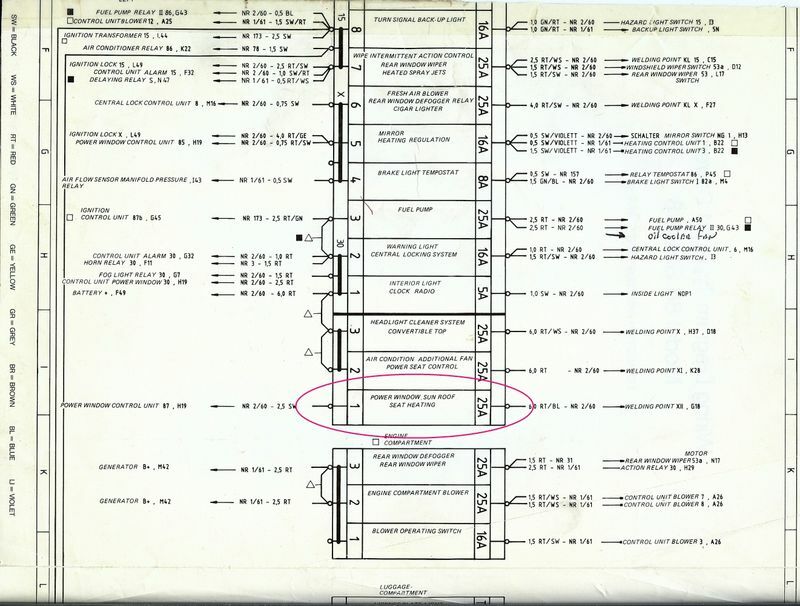 The Bentley manual shows for relays in the front trunk, I should have an empty hole in space 1, Relay 1 in space 2 not used, Relay 2 in space 3 for windows but I have an empty space in the relay board in this position? I have a total of 5 relays in place. Not sure what to check next. I'd appreciate your further help! Here's a photo of my front fuse/relay box. Your relay is behind your fuel gauge, it is a big square one with 5 prongs on the bottom. 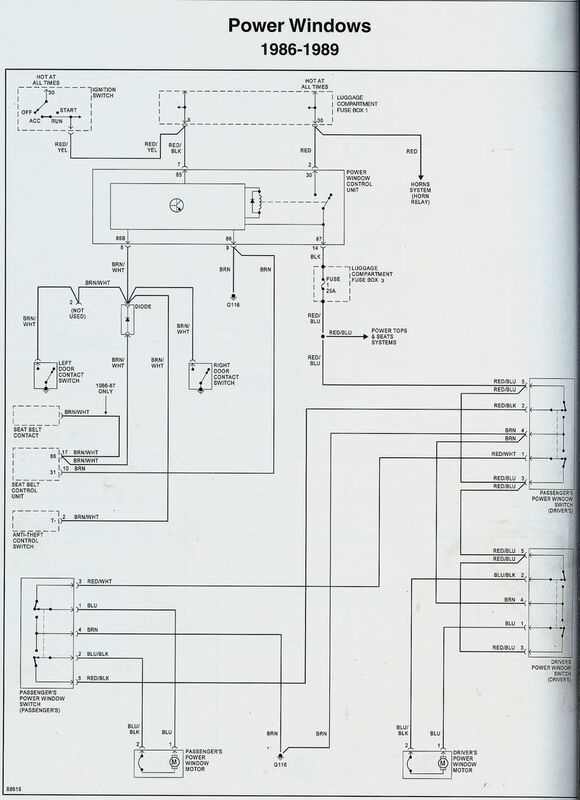 it is a 944 part number and it is called a power window controller. does this relay also control the power sunroof which is also not working? But, I don't think It's your PW relay. Last edited by 86 911 Targa; 07-28-2011 at 02:44 PM.. When you checked fuse #1, was there voltage on both sides? 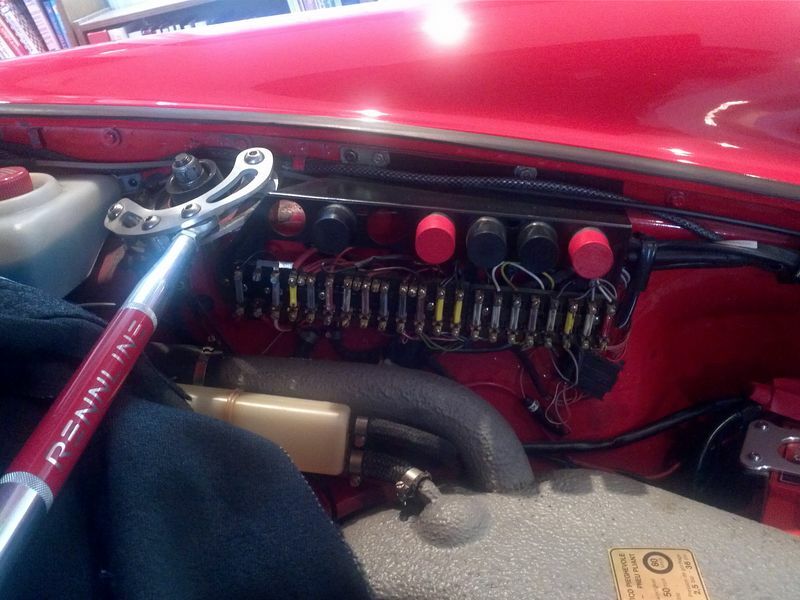 Here's the relay panel for our '86. I used slot #1 for our Front oil cooler fan. Last edited by 86 911 Targa; 07-25-2011 at 01:02 PM..
Gerry. I don't have a voltage meter so not sure how to check if voltage at both ends. What do you think it is before I begin tearing into my dashboard? You will need a meter, or a replacement window relay which would be a "guess". The relay is best accessable behind the fuel gauge which pulls out towards the driver's seat. Here is a circuit description. Last edited by 86 911 Targa; 07-25-2011 at 01:57 PM.. I have the same problem, which includes the power mirrors. Can someone send me some photos on how to get the gauges out so I can access this electrical module? Perhaps there is a link here that will walk me through this problem. Perhaps a contact clean will help as the problem comes and goes. I can't remember, but I think I was able to replace the window relay without pulling gauges, but I could be wrong about that. Relays often go intermittent before they fail completely, mine did. You might be able to pull off the cover and clean the internal contacts, I didn't bother, I just replaced. If you need to remove them, the gauges are just pressure fit with a rubber gasket around the gauge behind the trim bezel. Just grab at the trim ring and pull toward you, you might have to wiggle it around a bit, they are a tight fit. Some are easier to get out than others, if you can get one out, you can reach through the hole and push the next one out from behind. If they are really tight, use a plastic trim tool to pry a bit to get it moving (being careful not to scratch the dash). 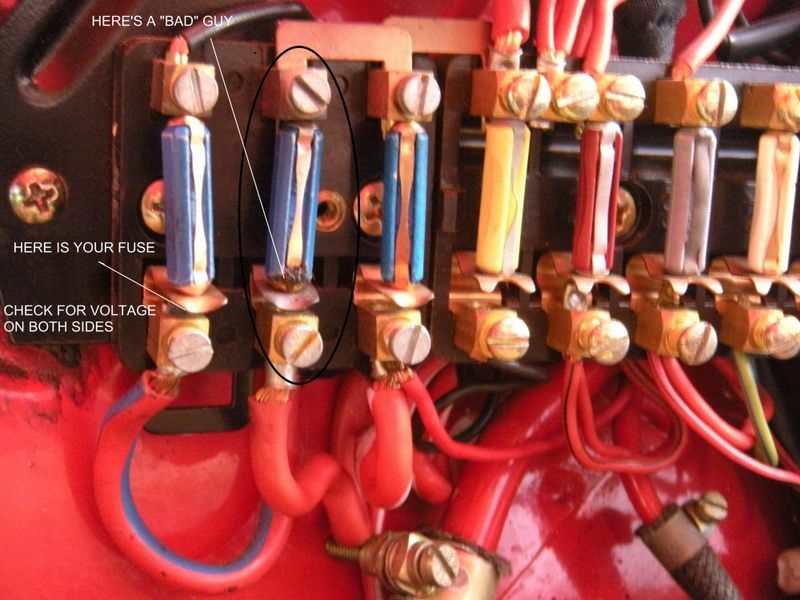 Sometimes a fuse looks and tests good, but is not making good contact in the fuse holder. A multimeter might show 12V at the fuse tip, but current is not getting through to the other side. Clean the fuse tips and the contact surfaces in the fuse holder, and put on some dielectric grease. 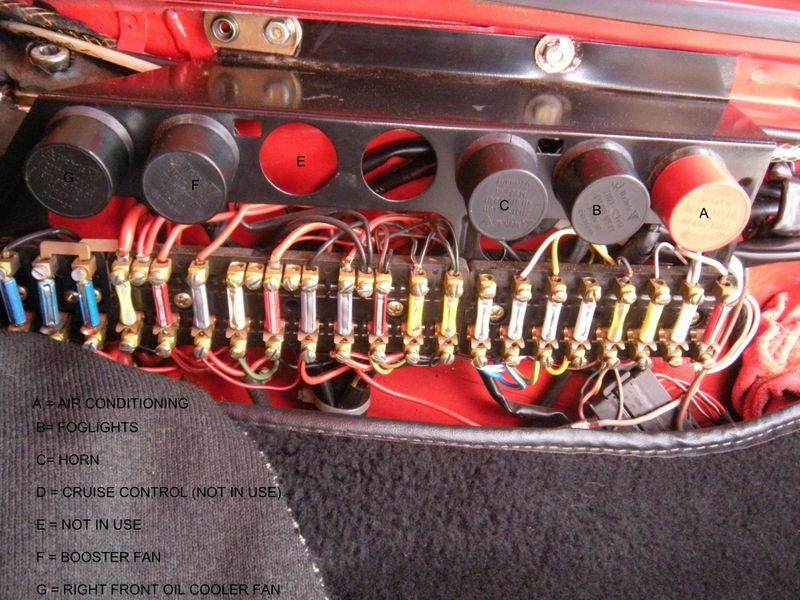 Several current threads in this forum about replacing the entire fuse panel with modern blade style fuses, this is definitely on my project list. I am hoping that some kind soul will help me understand where the power comes from for fuse #1 in the luggage compartment. 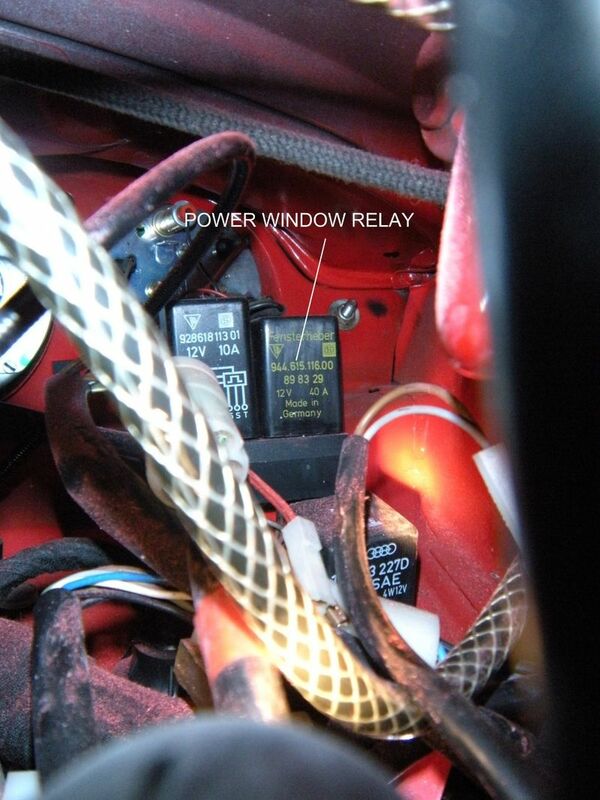 When my Power windows dont work there is no power at this fuse posistion at all, even when touching the wire directly. When my windows dont work the Red Wire with Blue Stripe has no voltage. 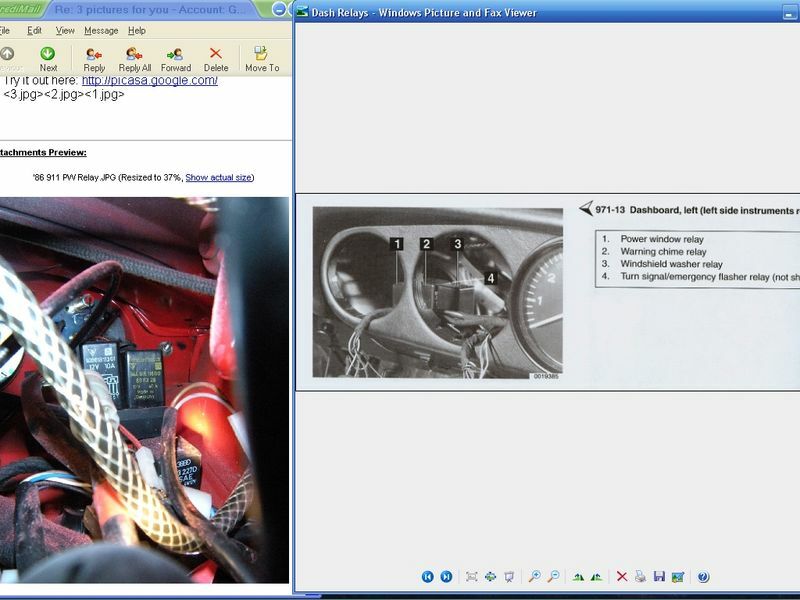 Is this fuse position fed by the ignition switch ot the Power Window Control Relay 944-615-116-00.